So, my question is; is there owt this stubborn chap can do or am I just doomed? Vegetarians tend to be healthier all round – non smoking, non drinking often (wine involves fish scales all too often etc), no sweets (they contain gelatine), far few processed products/junk – they too contain nasties – and so it’s difficult to say what benefit comes from not eating meat/fish (which are very nutritious) and what benefit comes from not eating junk and all the other good lifestyle choices. This one is on open view – http://www.zoeharcombe.com/2011/08/the-vegetarian-myth-lierre-keith/ – I was veggie for 20 years, so I do understand the attraction. However I have come to realise that the planet and humans need ruminants and so the sentimentality has been replaced by practicality. Hello Zoe, your presentation was very powerful and agree with the analysis.One question though you have a strong view that carbohydrates provide no nutritional value! Is that been backed up by studies and also the omplied notion that you achieve sustainable weight loss on a high fat and protein diet. Are you able to send through your references. Hi Eric – please can you provide the time reference from the hour? I wouldn’t say that carbs have no nutritional value. I would say that sugar (sucrose) has no nutritional value and that this is the only 100% carb. I would say that there is no essential carbohydrate (i.e. one that we must eat). Very different things. On the sustainable weight loss point, I can’t provide evidence for something that I didn’t imply! I’ve just listened to your fascinating lecture, it does make sense! I lost 1 1/2 stones by cutting out carbs including fruit, (which I’d always eaten a lot of!). I was interested in the diabetes part as my husband is insulin dependant & needs to eat carbs to maintain his blood sugars. However he struggles to gain weight, at 6ft 3ins he weighs 79kgs, & at times his blood sugars are all over the place.Do you have any theories on this & suggestions as to how he can improve his blood sugar control? Hi Pauline – many thanks for your kind words & well done on a great weight loss. Hubby’s BMI (21.8) is in the middle of the normal range, but I bet he doesn’t look ‘normal’. 79kg on a 6’3″ male will look tall and thin. The sugars one is difficult as hubby needs to find a doctor open to ditching the current public health diet advice. He may like to get a book called “The Diabetes Revolution” by Charles Clark. I don’t agree with Clark on fat and cholesterol (he’s unnecessarily worried about both), but his carb advice is good. In my view diabetics generally should be consuming as little carbohydrate as possible. They only need insulin to remove the glucose from the bloodstream that got in there because they ate carbs – so reduce both. The less carbs/glucose/insulin, the more chance he has of keeping his blood glucose level stable. Because glucose is toxic in the blood stream (that’s why the body is designed to remove all but a teaspoon kind of level) – many of the complications suffered by diabetics (heart disease, eye problems, limb circulatory problems etc) are related to this issue. Hence, normal advice to diabetics should be to minimise carbs and the insulin needed to mop them up (we’re talking about insulin dependent diabetics here although the carb advice applies to non-insulin dependent also). 2) Do mix fat/proteins and carb/proteins at the same meal. I advise slimmers to do the opposite in “Stop Counting Calories & Start Losing Weight”, but this should help hubby to store fat while insulin is present. 3) Don’t fear fat – if he is avoiding cheese, red meat, cream etc because of ‘base your meals on starchy foods’ diet advice – stop! This is where the fat soluble vitamins are found and fat is to be embraced. Hi, I am very hard of hearing. Is there any possibility of getting a transcript of this presentation? About 16% of the population are classified as having hearing problems, so it would be a great service to us to get transcripts. Hi Les – there’s a high quality (free) audio version on itunes – I don’t know if that will be any better. We sadly have no transcript of the presentation and sadly no funds or resource to help us do this. 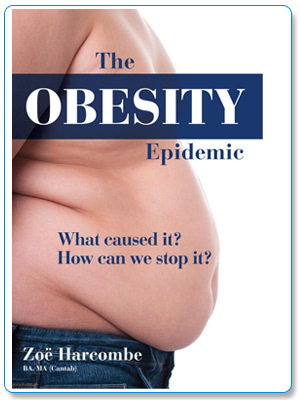 However, the presentation comes from my book The Obesity Epidemic: What caused it? How can we stop it? Hence there is a much longer and more detailed written version of the ‘presentation’ in book form! That lecture was immense, is there anybody with “power” actually listening and do you have any friends in high places as yet?